We all know who Sigma are by now., and their debut album, the imaginatively titled Life, was released today (4th December). The drum and bass duo burst onto the scene with their stellar remix of Kanye West’s Bound 2, which in all fairness could be considered one of the biggest songs of the last few years. Festivals the country over, music channels the world over, and everything in between tirelessly churned out Nobody To Love. Although likeable at the time of release, it quickly became another Happy or Get Lucky, after the millionth time of hearing it at the supermarket, gym, radio and then at the weekend, the lyrics really did say it all about Sigma and their eventual demise- ‘I know, you’re tired’. 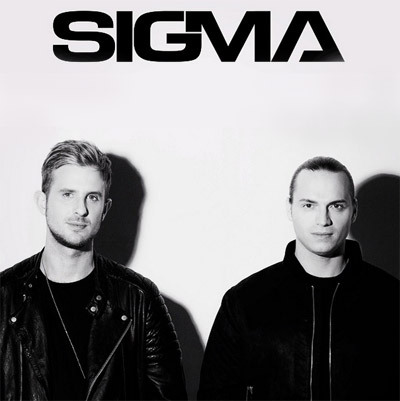 Shortly after the release of Nobody To Love, Sigma followed it up with a remix of Clean Bandit’s Extraordinary, followed by Keisza’s Hideaway, and then of all things Dibby Dibby Sound. All current, trendy songs, high-selling hits, from easy, top 40 artists. The remixes lacked any real dnb rejuvenation, with nothing more than the structured intro verse/chorus with a building breakbeat, brought together with with the expected crescendo, topped with the typical fall of drums and bass, just like on Nobody To Love. These remixes were at best, tolerable, yet was directly indicative of Sigma’s continual sloppy and self-abasing downfall. Paloma Faith was recruited for their next single, Changing, which would in itself encapsulate Sigma’s structure for the array of forthcoming singles, and thus the evaporation of their desire to continue the initial respect achieved with Nobody To Love. As well as Changing, more singles followed in the form of Higher, Glitter Ball and then Coming Home, featuring Labrinth, Ella Henderson and Rita Ora respectively. In my opinion, Sigma’s spawn of singles are some of the cheapest, easy-access, and recycled bits of music from the last few years. Every song follows the exact same structure- piano chords > isolated vocals > strings brought in > drums and vocals build > crescendo > drop > hook > a variation of ‘oh oh ohs’ > repeat. Whoever happens to be selling the most records at the time is enlisted for the feature. Drum and bass and pop are two genres that often collide, and personally, I don’t think it’s often a happy ending. Other big names to take aim at the charts with drum and bass in the past include Chase & Status, Netsky, Wilkinson, and if you can even call it drum and bass, DJ Fresh. DJ Fresh really is one to forget, with his inane ‘Ibiza-ready’ nothingness badgering gyms, Kiss FM and Mediterranean clubs the world over. Netsky and his recent material such as Rio is one to completely avoid, while my love/hate relationship with Wilkinson and his pop/dnb fusions continue to bring wide contrast to my opinions. This leaves Chase & Status as the one exception to the rule in my opinion. While their music is of course widely loved and easy to like (Alive, End Credits, Blind Faith), the duo aren’t just doing that kind of music. See More Than Alot’s Against All Odds, Running or Eastern Jam, No More Idols’ Fool Yourself, or Brand New Machine’s Heaven Knows, What Is Right or Blk & Blu to see the array of genres the pair tackle. That’s not to mention all their recent work to further heighten the grime scene with their London Bars series. I just pray to God they don’t become another Sigma.